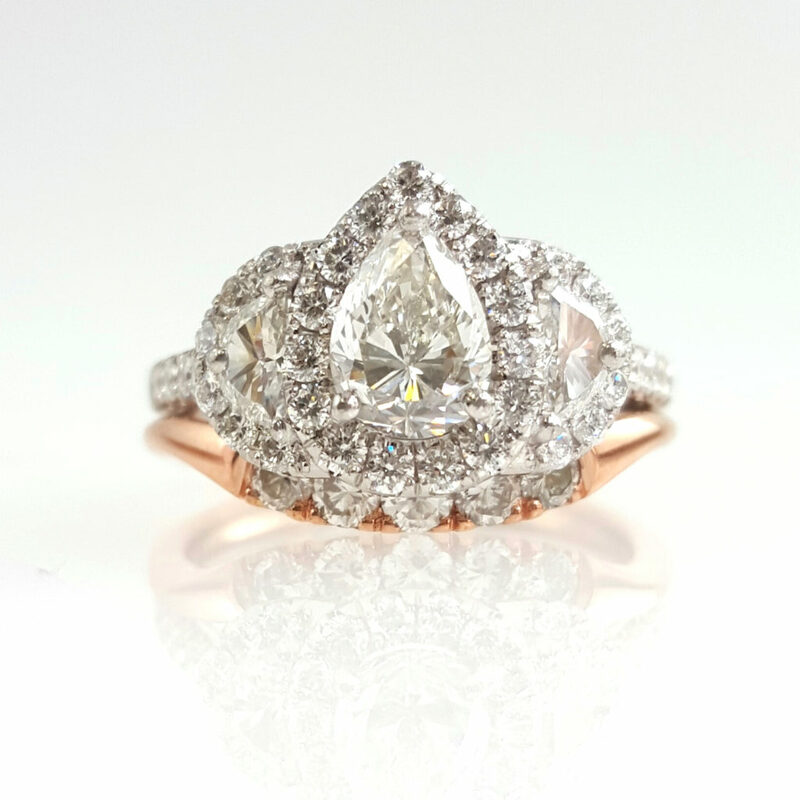 Here we created an 18k rose gold shadow band to complement a gorgeous one-of-a-kind platinum engagement ring that the couple had made in another state. 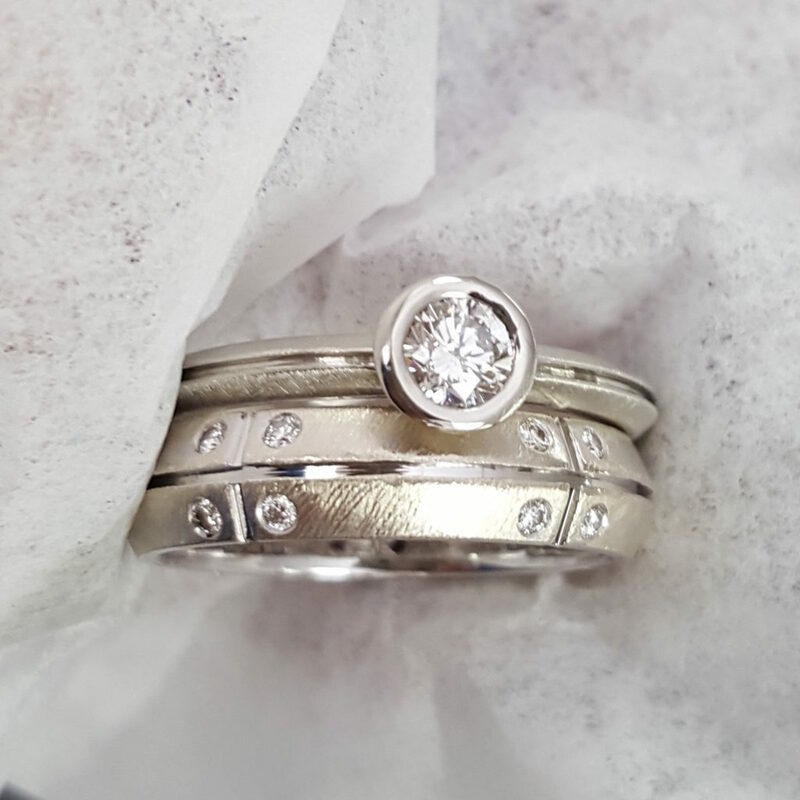 The five diamonds in the shadow band were heirloomed to the groom-to-be and he wished to create a wedding band using those stones that could be worn with or without the engagement ring. The diamonds he had were the perfect size to create a stand-alone band, and we curved it just enough so it would look good with and without the engagement ring. 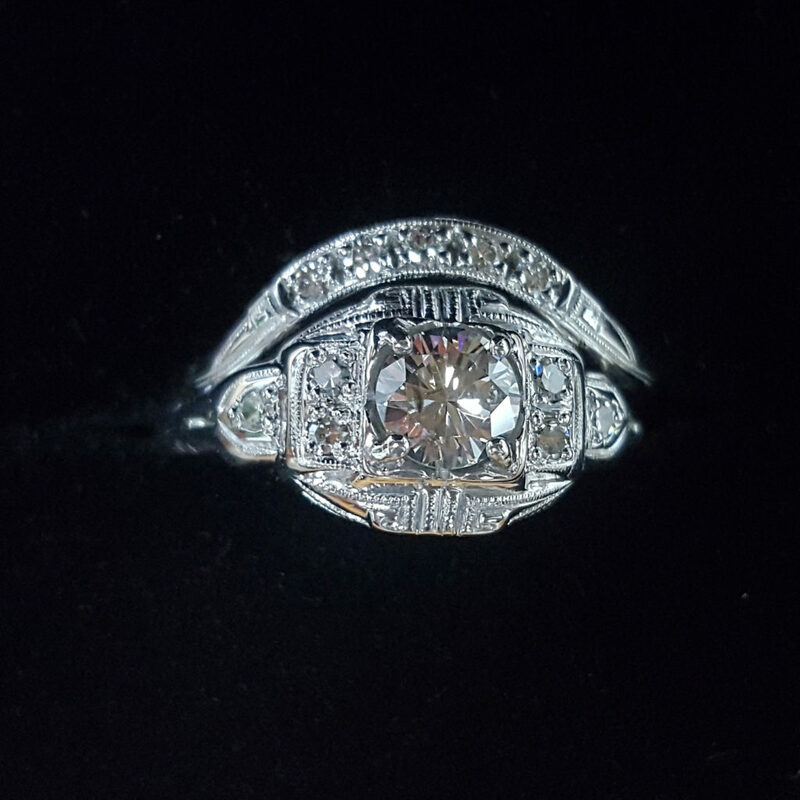 In this case the client had this beautiful vintage art-deco ring (which we re-furbished for her) and she wanted a shadow band in the same style. She also specifically wanted five diamonds to represent her five children. In this case, we selected the diamonds to match the size of the accent stones in her ring. Then we hand-engraved the shoulders of the shadow band to match the art-deco engravings on the top and bottom of the vintage ring. We had a lot of fun with this one! In this case, we actually created the solitaire “engagement ring” to match our client’s platinum band. We created bezel-set diamond in a knife edge band with the same florentine finish and high polish channels.